My 62nd birthday is rapidly approaching, in a year when one of my dearest friends died and intimations of my own mortality are starting to whisper, gently but insistently. But I’m hardly ready to turn in my binoculars. As Jack Kerouac wrote, “Why think about that when all the golden lands ahead of you and all kinds of unforeseen events wait lurking to surprise you and make you glad you’re alive to see?” Many people have grown jaded in an age when clever photo and video editing blur the line between reality and fantasy; when ironic detachment is the way we survive hearing non-stop bad news on virtually every front. 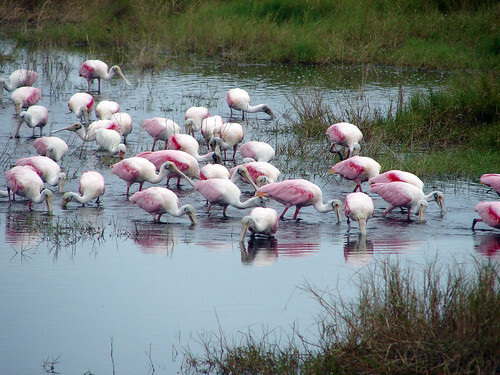 Watching birds brings us into a world that is natural, true, and sincere. Birding helps us fight that impulse to shield ourselves with irony. And birding enlarges our capacity for honest and joyous astonishment about astonishingly real and beautiful elements of our world. During this year, I’ve seen my own capacity for astonishment grow as I’ve seen wondrous things throughout. 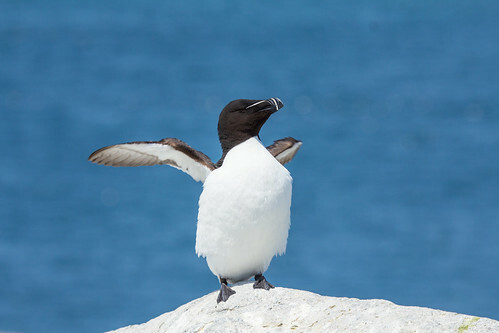 Some birds I fully expected to see, that are reasonably common where I was looking for them, still took my breath away. 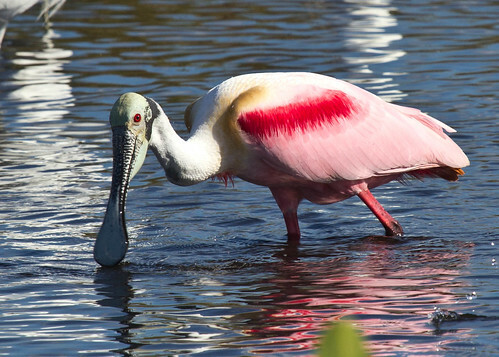 Roseate Spoonbills are declining, and were one of the breeding species killed in significant numbers during BP’s Gulf oil spill, but it’s hard to think of the difficulties the species is facing when looking at such an improbably designed bird, with its surprisingly juxtaposed hues, including feathers of weirdly greenish off-white, soft orangey brown, flashy pink, and brilliant crimson, combined with its bizarre spoon bill, shiny carmine eyes and legs, and the oddly-etched, yellowish green skin covering its bald head. 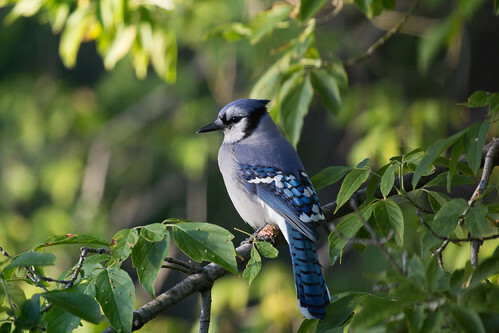 I have seen thousands and thousands of Blue Jays over my lifetime, but still find a good look thrilling. 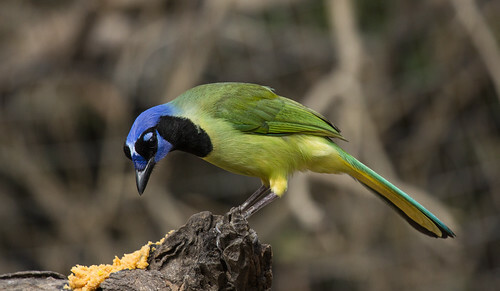 They’re so common up here that it’s easy to take them for granted—something I could never do with their relative, the Green Jay of Mexico and South Texas. The wonderful color combination of their plumage—green, yellow, black, turquoise, and purplish blue—is exquisitely striking. The black feathers above the large, sparkling eyes are longer and stiffer than the white and blue of the forehead, and the violet patch of feathers within those black feathers accentuates those beautifully intelligent eyes. 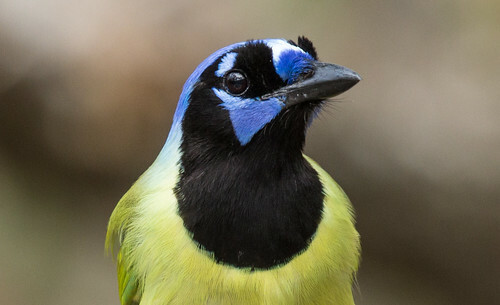 Watching Liz Taylor movies when she was at her peak of sheer gorgeousness, I can’t help but wonder if her makeup artist was inspired by Green Jays. Of course, Green Jays manage their own perfection without a speck of eyeliner or eye shadow. And seeing them once again this year enlarged my capacity for astonishment. 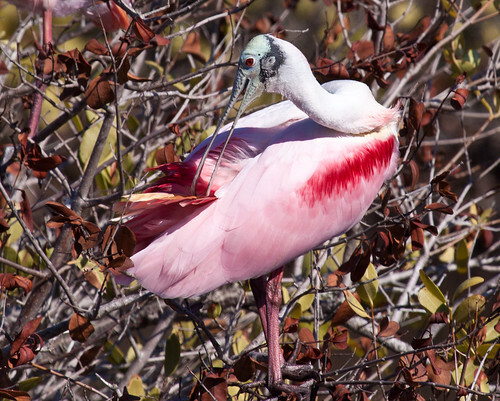 Spoonbills and Green Jays are just two of the 538 species I’ve seen so far this year. California Condors, Whooping Cranes, Trumpeter Swans, Atlantic Puffins, South Polar Skuas—day after day, week after week, month after month, I’ve seen more and more sights that have filled me with wonder and even astonishment. I don’t know how other people get through their days without blocking world and national events from their consciousness at least occasionally, but one could do worse than be a watcher of birds. This entry was posted in Uncategorized on October 2, 2013 by Laura Erickson. Now that I’m home, where are all the birds? For One Brief, Shining Moment….